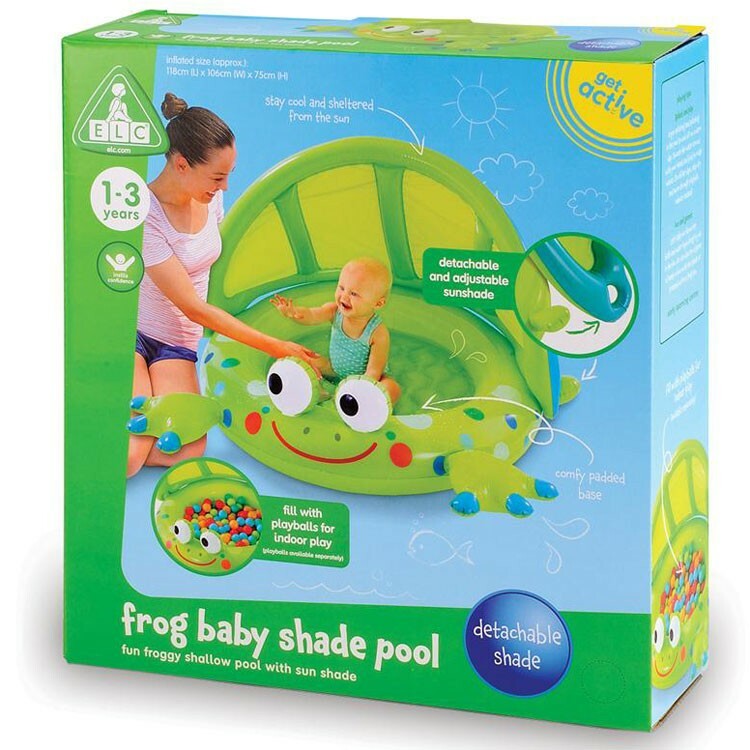 Frog Baby Shade Pool is a must-have kiddie pool for hot summer days in your backyard. ELC brings you a backyard pool that comes with a shade tent! 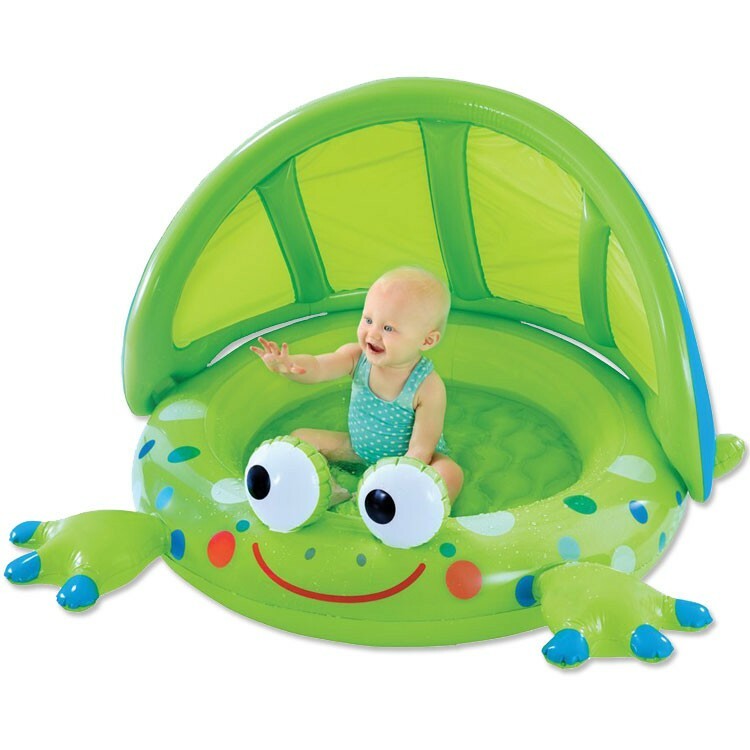 Frog Baby Inflatable Pool with Shade is a perfectly sized wading pool your little one is sure to love. This backyard inflatable baby pool from Educational Toys Planet offers adorable frog shape look with green and blue paws, 3D eyes, smiling frog face, and padded base. This inflatable baby pool can be filled with water for your infant's outdoor play, or with play balls to turn into all babies' favorite ball pit. Frog Baby Inflatable Pool with Shade is a must-have kiddie pool for hot summer days in your backyard. The inflatable green shade will keep the the baby cool and out of the direct sunlight. Simply fill with water and let the splash time begin! Dimensions of package 0.0975" x 0.0275" x 0.105"
Write your own review of Frog Baby Inflatable Pool with Shade. Rating: 5 by Kate, LA I love the pop up shape of the pool as well as the uv shade. It is easy to put up and take down!